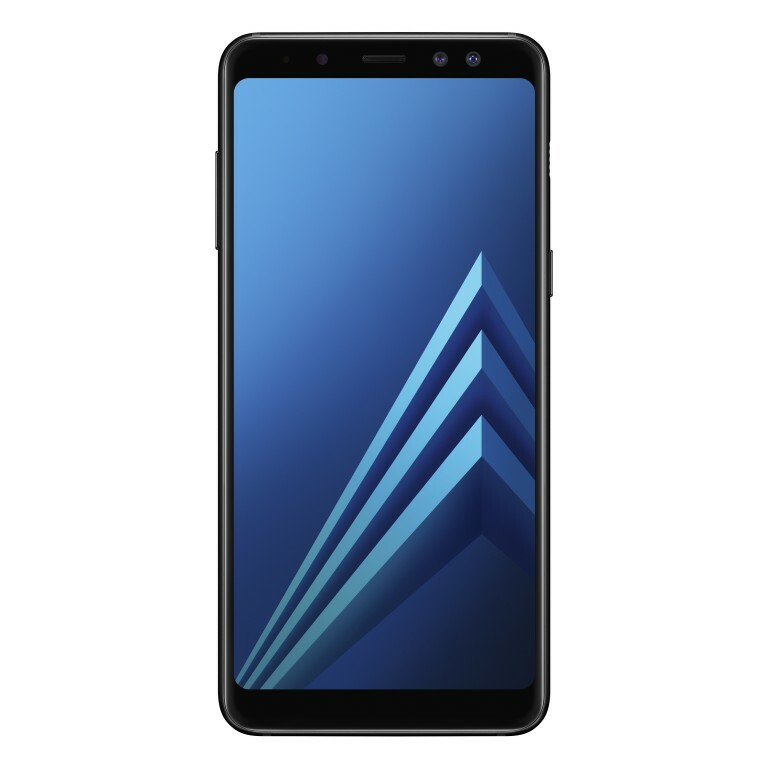 Samsung today introduced the latest members of the Galaxy A series, the Galaxy A8 (2018) and A8+ (2018), the successors of the Galaxy A5 (2017) and A7 (2017). 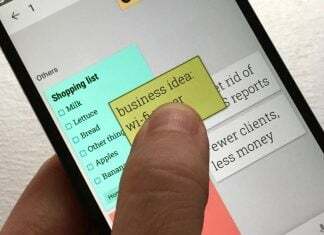 Often leaked in the past few months, the two smartphones will be on display at CES 2018 in a few weeks, where more details about availability and pricing will hopefully be shared with the public. 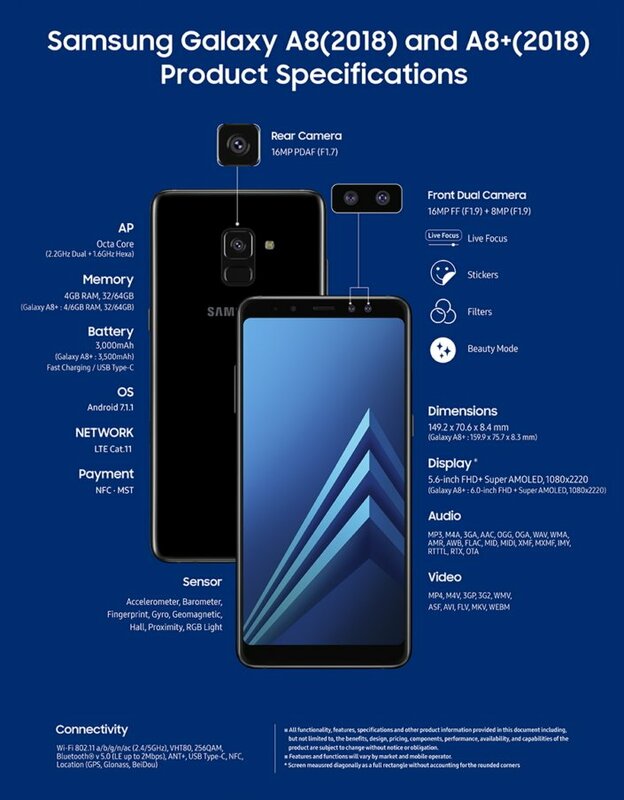 Samsung has given the InfinityDisplay treatment to these new premium middle-rangers, which means the Galaxy A8 and A8+ feature thin bezels all around and an immersive 18:5:9 display ratio. 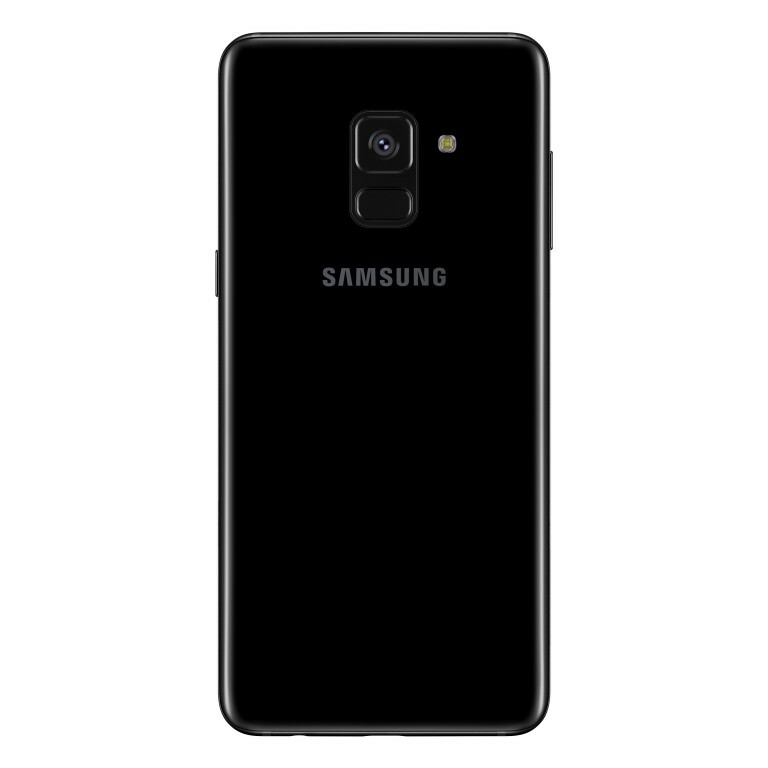 However, unlike Samsung’s flagships phones, the two Galaxy A8 duo offers only 1080p+ resolution, which is apparently enough to support the Gear VR. 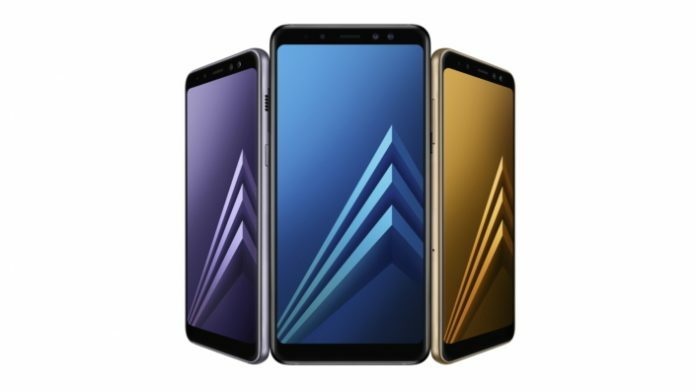 The smaller of the two is the Galaxy A8 which includes a 5.6-inch display, while the Galaxy A8+ includes a 6-inch one. Display aside, the Galaxy A8 and A8+ are really unique among Samsung phones, as they are the first phones from the company’s portfolio to come with a dual selfie camera on the front – a 16MP+8MP combo with f/1.9. The module switches between the two sensors as needed, so users can get the selfie they want. Samsung also throws in a Live Focus Feature which lets Galaxy A8/A8+ owners easily adjust the bokeh effect before or after they take a shot. The main camera is a single 16-megapixel sensor with f/1.7 and digital stabilization for shake-free videos. A new hyperlapse feature for creating time-lapse videos has also been added. Both phones are powered by an octa-core chipset, but the Galaxy A8 will be offered with 4GB of RAM and either 32GB/64GB of storage. The Galaxy A8+, on the other hand, boast 4GB/6GB of RAM with 32GB or 64GB built-in storage. A microSD card slot is available in both cases for memory expansion up to 256GB. Samsung has also bundled the two new models with Samsung Pay support, IP68 certification, fast charging over USB-C and 3,000 mAh and 3,500 mAh batteries respectively (just like the Galaxy S8 duo). The new handsets will be available in four color options including Black, Orchid Gray, Gold and Blue. Unfortunately, the Galaxy A8 and Galaxy A8+ will launch with Android 7.1.1 Nougat out of the box, which is quite disappointing. God only knows when the Android 8.0 Oreo update will be available, but all products come with their disadvantages. Samsung says the new phones will become available in early January, so don’t forget to tune in for CES 2018 to find out more details.